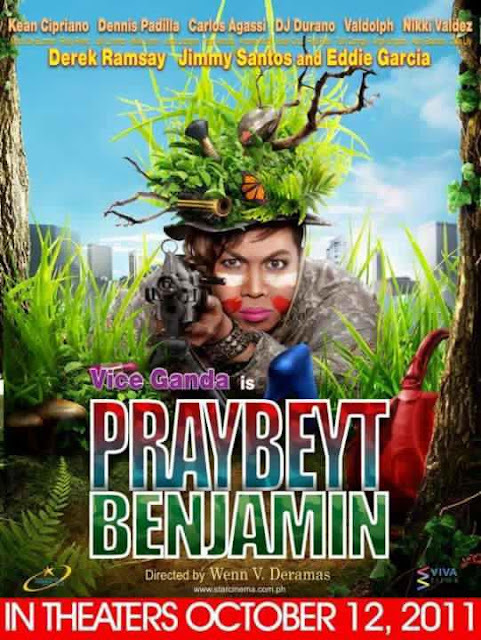 Praybeyt Benjamin Movie Poster and Trailer released! Viva Films has officially released the movie poster and trailer for Vice Ganda‘s second comedy movie entitled "Praybeyt Benjamin". Praybeyt Benjamin tells a story of a gay son of an ex military commander who was forced to train like a military in order to save the country and his family from a national crisis. Directed by Wenn Deramas, Praybeyt Benjamin also stars Kean Cipriano, DJ Durano, Vandolph Quizon, Carlos Agassi, Jimmy Santos, Eddie Garcia and Derek Ramsay.